It's Pure Happiness: Best Things !!! 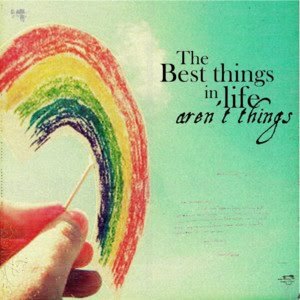 The 'best things in life aren't things' post is about appreciating non 'things' in life. Non material things. (And yes, I realise sometimes some of what I write could be classified as a 'thing' but its the idea that the best things arent the material possessions). 1) That feeling when, after exercising so hard you couldnt catch you breath, your heart rate finally slows enough that you can breathe again. 2) Finally getting to smooth on some lipbalm after being conscious of how dry your lips are. 4) Cold wind on your cheeks when you are rugged up and otherwise warm. Its kind of refreshing and uplifting.